What you need: Security and confidence of being assisted by professional travel advisors in México. 2bTRAVEL (“to be Travel”) is a legally and authorized Mexican company specialized on offering high quality tourism services. 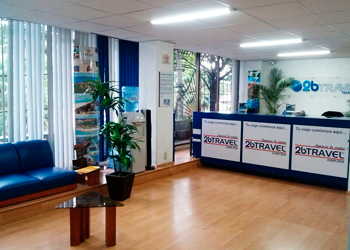 Our headquarters are in Mexico city and we have four offices for personal attention of our domestic clients. The most important thing for us is the full satisfaction of our clients, and in order to accomplish this goal, we only work with tour operators, guides, cars and hotels who guarantee the best services and enjoyable stay. We know also the price is an important thing to consider, thats why we try every time to get the best choise at the best price but without sacrifice the quality of the service.